Civil Litigation Vacancy - Opportunity Is Knocking! Career defining opportunity for an ambitious Civil Litigator. Work for high profile Awdry Bailey & Douglas, from their prestigious offices in the proud Wiltshire market town of Royal Wootton Bassett, (“RWB”). Focus on developing Contentious Probate work whilst also inheriting a valuable mixed caseload of PI, Professional negligence, Property disputes etc. This ambitious person must be a self starter, able to provide added value, not be daunted by self profile, be capable of selling themselves on skill and expertise and of knowing an opportunity when presented. Competitive salary package to include Private medical Insurance, life cover and valuable bonus payments. Car parking on site. The right person will have 5 years plus PQE with ambitions to manage our RWB office. If the challenge and responsibility which is this opportunity appeals to you, explore our websites www.awdrys.co.uk and www.abdcare.co.uk. Then email Andrew Douglas or telephone our Practice Manager David Turley on 01380 722311 to express your interest. It was a full house in the Devizes Corn Exchange and an extremely entertaining evening listening to stories and renditions from actor Brian Blessed about his amazing life. Brian stepped down from the stage and mingled with the audience which they loved! Known for his sonorous voice and hearty king sized portrayals, Brian's career in television, film and stage has spanned 6 decades. He is particularly well known for his early role in BBC television series Z-Cars as well as his performances from Shakespeare to musicals. ABD team enjoyed chatting to Brian at the end of his show and having a quick photo taken! Awdry Bailey & Douglas, having established themselves in the Chippenham business community, are growing from strength to strength and are looking to the future. The Firm of Solicitors with offices throughout Wiltshire have now acquired additional premises in the town of Chippenham. This business decision was made to facilitate additional employees in the face of client demand. 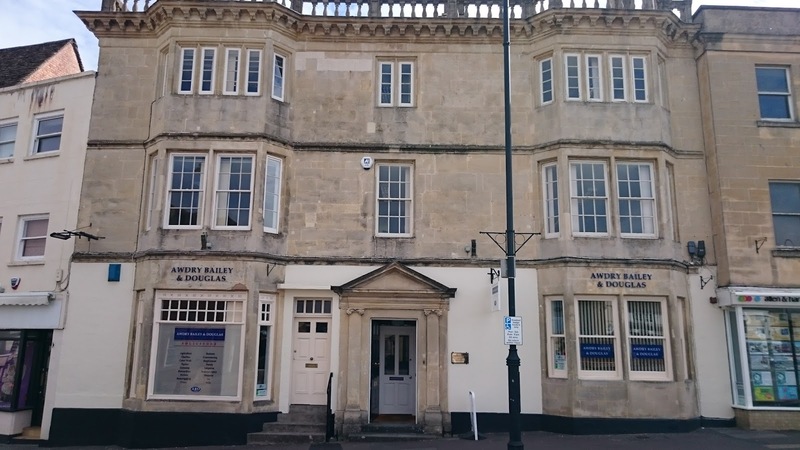 Alexander David, Partner and Head of Family Law at Awdry Bailey & Douglas ‎commented that, “the Firm initially opened its' doors in Chippenham in 2013 at 38 Market Place. Our following grew at an unpredicted pace and we realised that larger premises were needed to meet client demand and to provide a first rate service to all our clients, old and new. Fortuitously, the premises next door to our current office became available, which we were successful in acquiring. Significant renovation has been undertaken and our new expanded offices are now open for business. Chippenham is a fantastic town and local people genuinely care about it and champion local organisations and businesses. Everyone at ABD is proud to be part of a vibrant business community". Why not arrange a free consultation by contacting ABD on the details below or simply call into ‎our offices at 38 Market Place, Chippenham?